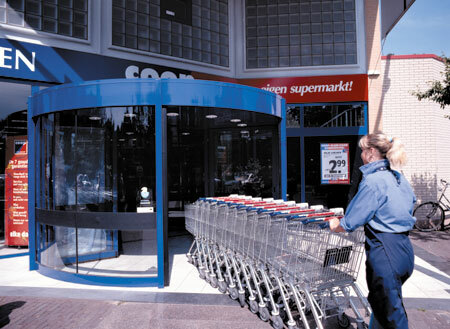 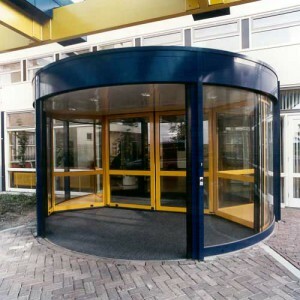 The Boon Edam Duotour is a two-wing revolving door with spacious compartments that easily accommodates large objects such as shopping and luggage trolleys, stretchers, wheelchairs and even motor vehicles. 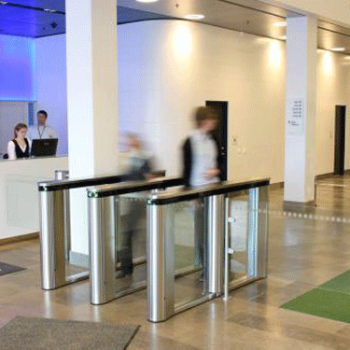 It provides simple, bi-directional, straight-line access and has a high capacity throughput of people. 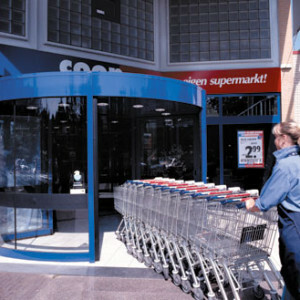 The unique design of the Duotour turns an ordinary entrance into an environmentally friendly and attractive entrance. 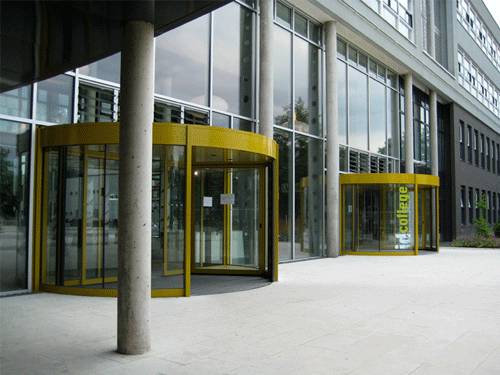 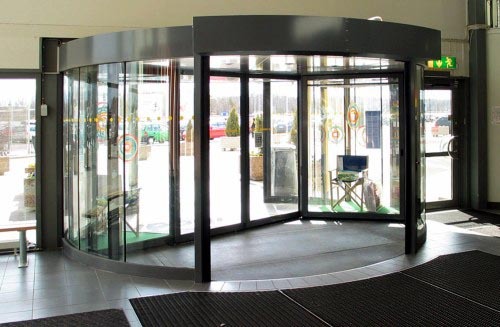 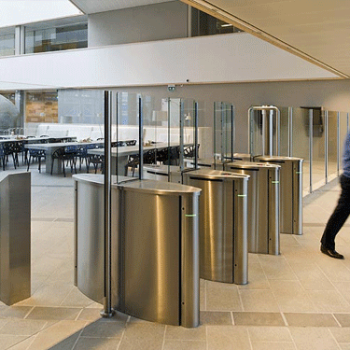 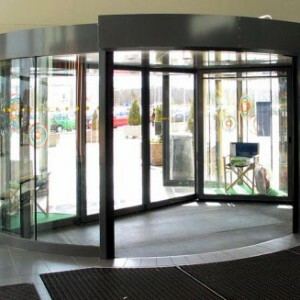 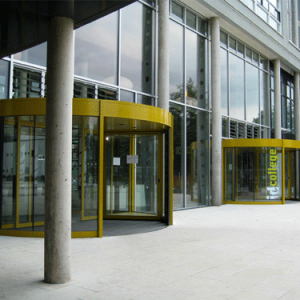 Available in three models, the Duotour is the most versatile high capacity entrance solution, suitable for airports, hospitals, banks, hotels, supermarkets and many types of public buildings.